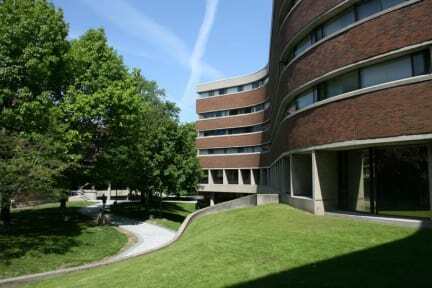 I loved staying at the University of Toronto New College Residences in Toronto. The place is clean, I felt safe (even though in the morning a cleaning person opened my room by mistake - maybe my suggestion would be manual locks from inside), there is a street car stop right on the corner (a few steps away). There is kitchen, with a small living room, and plenty showers and toilet. And if you never got the chance to live in a university, this is also a great opportunity to experience that.